Over the past decade, a number of consortia have formed to further investigate genetic associations, pathogenesis, and epidemiologic risk and prognostic factors for ovarian cancer. Here, we review the benefits that ovarian cancer consortia provide as well as challenges that have arisen. Methods for managing key challenges are also discussed. We review the structural organization and some of the milestone epidemiologic publications of five consortia dedicated to the study of ovarian cancer, including the Ovarian Cancer Association Consortium (OCAC), the Ovarian Tumor Tissue Analysis (OTTA) Consortium, the Ovarian Cancer Cohort Consortium (OC3), the Collaborative Group on Epidemiological Studies of Ovarian Cancer (The Oxford Collaborative Group), and the Ovarian Cancer in Women of African Ancestry (OCWAA) consortium. As ovarian cancer is a rare and heterogeneous disease, consortia have made important contributions in the study of risk factors by improving statistical power beyond what any single study, or even a few studies, would provide. Thus, a major accomplishment of consortial research is enhanced characterization of histotype-specific risk factor associations. In addition, consortia have facilitated impressive synergy between researchers across many institutions, spawning new collaborative research. Importantly, through these efforts, many challenges have been met, including difficulties with data harmonization and analysis, laying a road map for future collaborations. 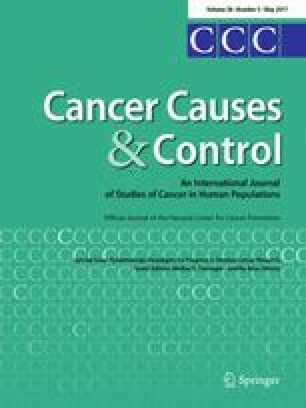 While ovarian cancer consortia have made valuable contributions to the ovarian cancer epidemiological literature over the past decade, additional efforts comprising of new, well-designed case–control studies are needed to further elucidate novel, histotype-specific risk, and prognostic factors which are not consistently available in existing studies. The online version of this article (doi: 10.1007/s10552-017-0862-6) contains supplementary material, which is available to authorized users.